Could an Unlikely Aviation Strike End the Shutdown? Could a Long-Shot Aviation Strike Be What Finally Ends the Shutdown? As the White House chief of staff prepares for a shutdown that could last into March, the president orchestrates deals that only square with his own party, and Democrats let the GOP bask in Trump’s abysmal polling numbers, it appears that the nation’s longest-ever shutdown probably isn’t ending anytime soon. But, increasingly, it seems that a solution could be pushed on Trump from outside industry — specifically from the airport, where everyone from CEOs to air traffic controllers is furious with the shutdown’s effects on flight safety, or for simply not getting paid. It is important to note that Nelson did not call for a general strike among aviation workers, a theoretical stoppage that would have a startling impact on American industry, halting pretty much any business or leisure that has prioritized planes over rail in the last 50 years. 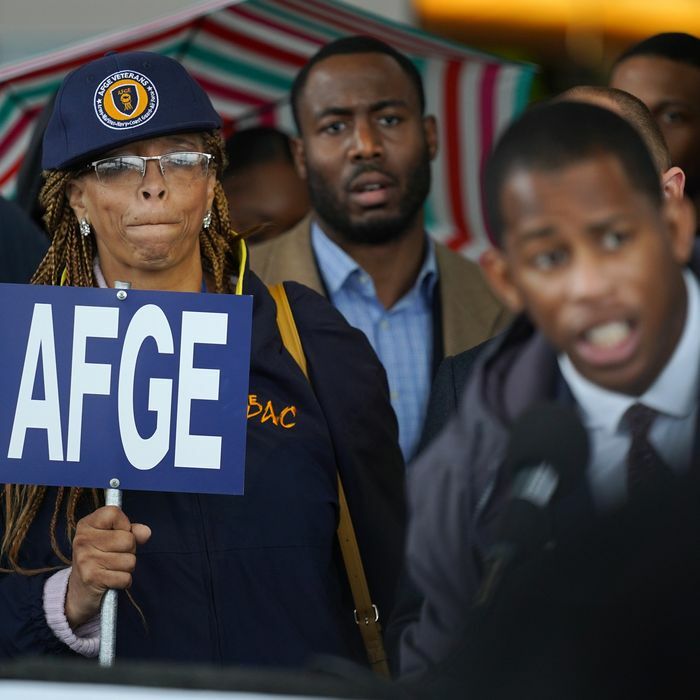 But given Nelson’s strong statement, the unions’ stance, the general malaise among aviation workers, and the reporting that Mick Mulvaney may be preparing to take the shutdown into March, such a strike no longer seems outside the realm of possibility. Indeed, such a walkout has happened before: In 1981, almost 13,000 air-traffic controllers picketed after talks between the union and the Federal Aviation Administration broke down. That strike, however, set a rough precedent for any inkling of one today: Reagan fired 11,500 controllers and banned them from federal employment for life, citing a law that prohibits strikes by federal workers. The remaining air-traffic controllers were back in the tower within days. But even congressional Republicans are floating the idea of an illegal TSA strike as a potential shutdown-ender. According to Robert Costa, as early as last week, two “senior Republican lawmakers” said that “the only way this breaks open is if TSA employees stay home and Americans get furious about their flights. That’s the only out, they say. And they’re close to the [White House].” And in an interview with Slate, historian and 1981 ATC strike expert Josh McCartin cites an important difference between the walkout almost 40 years ago and the hypothetical one today: The Reagan administration had years to prepare for the union talks — two years before controllers’ contracts ran out it was obvious there would be a dispute — while the chaotic Trump administration might flub a scenario like this, even with years to prepare. Meanwhile, as the shutdown passed its one-month anniversary, thousands of unpaid TSA workers are engaging in a pseudo-picket of their own: As of Monday, 7.5 percent of TSA’s 57,000 employees called out, compared to 3.3 percent on the same day in 2018. Could a Long-Shot Aviation Strike End the Shutdown?